Praises be to Allah the Lord of the worlds, prayers and peace be upon Messenger of Allah and his companions. Allah is Great, Allah is Great, Allah is Great, Allah is Great and all praises be upon Him. Let us all thank Allah that we have successfully performed the one month Ramadhan fasting ritual so that we could now celebrate Eidul Fitri in peace and joy. Today is a victory day for us all that we have been tested for our patience in obeying Allah's command and His prohibition. While celebrating this day we must not forget that the overall situation in our land(Patani) is not at all safe and peaceful to go with our day-to-day lives as the Malay people in Malaysia. We realize the truth that in our land something wrong is happening that leads to the differences in views and mistrust between us and the government. That is the reason why we stand up to express our Patani Malay inspiration to the Thai government and to the world that something is wrong in our living as a Patani Malay community that was at one time a sovereign state. 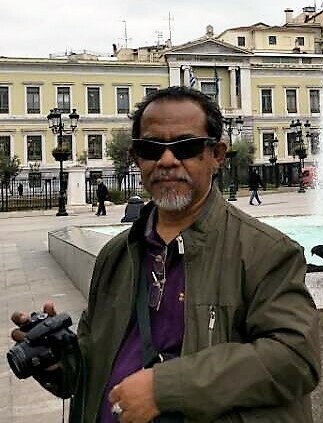 Considering the experiences faced by Haji Sulong in his peaceful diplomatic struggle to express the inspirations and the demands of the Malays to the government that were ignored , we therefore had to find other means to make our voices heard by the Thais. That was the reason why our forefathers established the armed liberation movements to continue the struggle initiated by Haji Sulong that prolongs the conflict to this day. We realize and are convinced that a conflict will not be solved through armed violence. However that was the only way we could demonstrate to the Thais that we need a solution for it. On 28 February 2013 a General Consensus to end the conflict in Patani through peaceful mean was signed between the representative of the Thai government (Party A), and the people with different opinions from the state, ie. the Patani Malays (Party B), represented by the BRN, with Malaysia as the Facilitator. This peace process is on-going with an initiative to get all the stakeholders from the four provinces involved . Hence the Majlis Syura Patani( Patani Consultative Council) known as MARA PATANI was established as the supreme political entity for Patani people and not a new movement. It serves as a platform to unify the opinions and actions of the Patani people in the dialogue process with the Thai government. I would like to inform all of you that the dialogue process is ongoing ,currently at the confidence building stage to gauge the reciprocal trust between us and the Thai government whether the conflict of Patani needs to be resolved at all. In the meetings at this stage both sides had concluded, at the technical level, the establishment the Safety Zones and its related issues. The final step is to endorse and sign the agreed protocol by the Joint Working Group- Peace Dialogue Process (JWG-PDP). God willing, the Safety Zones implementation will be jointly announced by JWG-PDP. We also hope that the peace process is not affected by the political change in Malaysia. I totally agree with Ustaz Shukri Hari, the MARA PATANI dialogue chief who had earlier stated that only His Majesty the King Rama 10 is capable of solving this conflict, and I propose to His Majesty the King to justly execute the peace process to end the hardships of the Patani people and at the same time creating a strong wall of defense for Thailand. That is all on this occasion to celebrate Eidul Fitri 1439 H (2018). On behalf of MARA PATANI committee members I wish you a joyful Eidul Fitri celebration for the Patani Muslims and all other Muslims in Thailand. I seek forgiveness, physically and spiritually. Minal Aidin, wal Faizin wal Maqbulin (Be amongts the rejoiced, the victorious and the accepted ones ). Thank you, peace be upon you "